2016 was the first year for two decades that Sheffield 74 did not operate at the Crich Tramway Village. 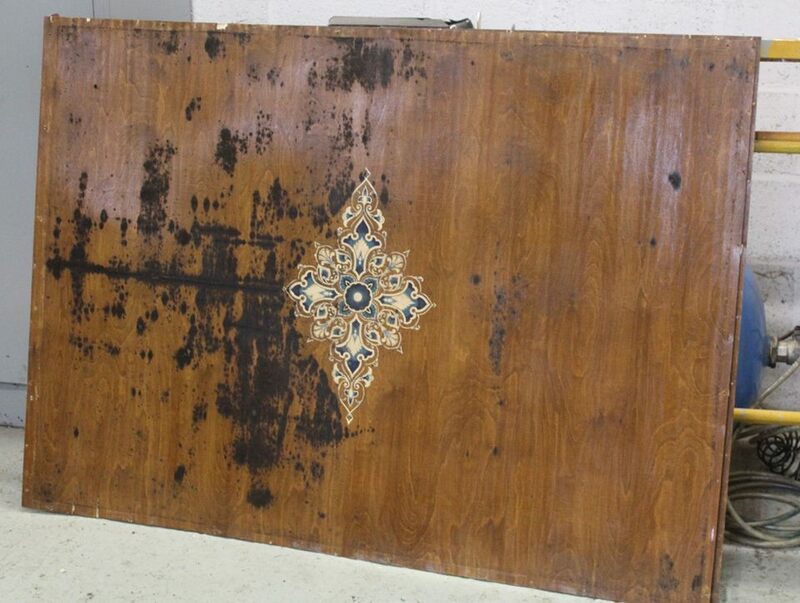 It may be remembered that the popular Edwardian tramcar had been withdrawn from service due to excessive mould growth on its top deck ceiling, caused by the warm and damp conditions in the museum’s running sheds. 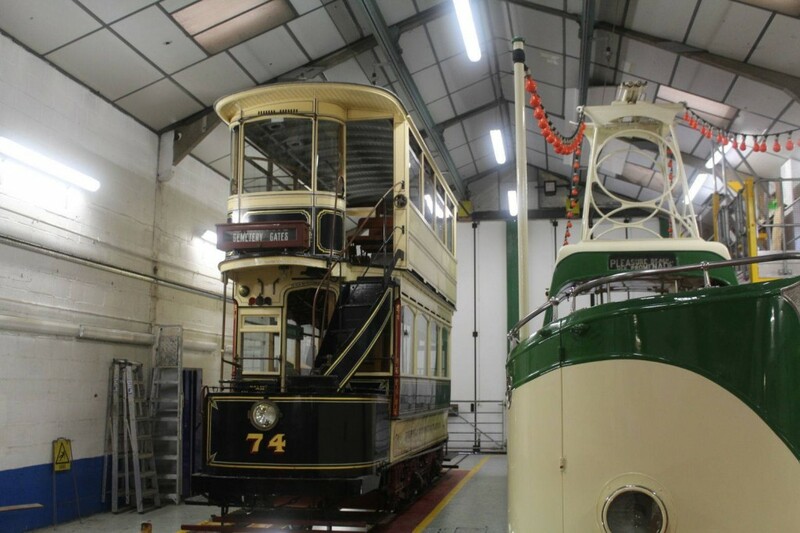 Happily the tram has now entered the conservation workshop for attention to return it to the operating fleet. The problems of mould growth on trams at Crich has been well-documented of late, with 74 having been one of the most severely affected vehicles in the collection. 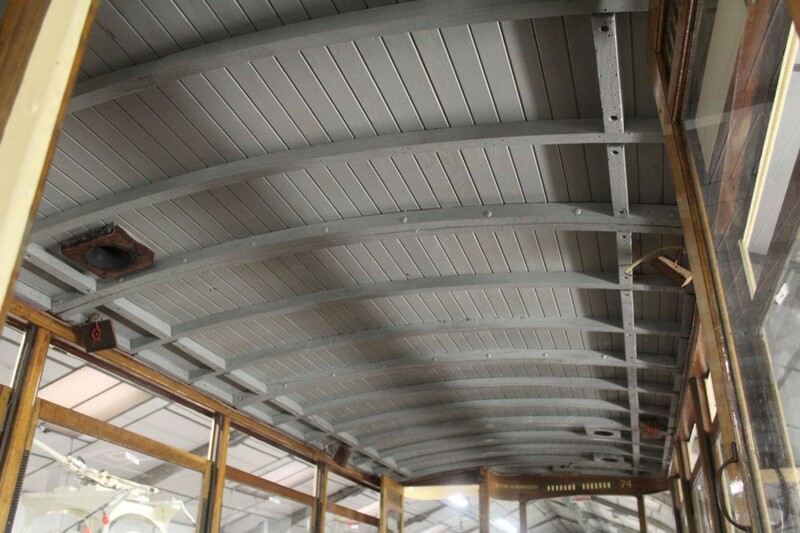 The upper deck ceiling has now been removed entirely and will have to be replaced; this work will be undertaken now that Blackpool Boat car 236 has re-entered service following its winter re-fresh. Hopefully Sheffield 74 will be able to run again later this year, although this will depend on whether any other issues come to light when its condition is more thoroughly assessed. The car is expected to receive a general overhaul, which will entail removing the body from its truck, in the fairly near future but it is likely that it will be commissioned for now so that it can enjoy some further use until the resources are available for this to be carried out. With a significant amount of the funding required to upgrade the main depots at Crich now in place, it is hoped that this work will proceed soon and that this will be enough to prevent any such damage from occurring again, although with global warming a very real problem, climate control in the depots will need to be closely monitored in the years to come. Sheffield 74 is seen at the front of the museum's workshop, with Blackpool 236 undergoing routine attention alongside. An unusual view inside 74's upper saloon with its ceiling removed.